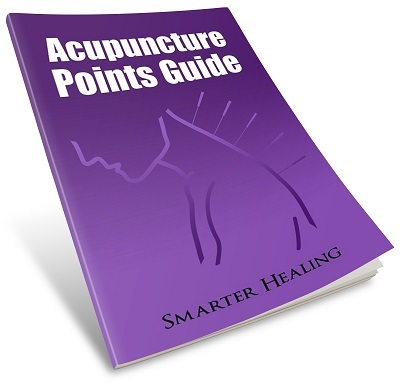 What acupuncture points are located on your back? 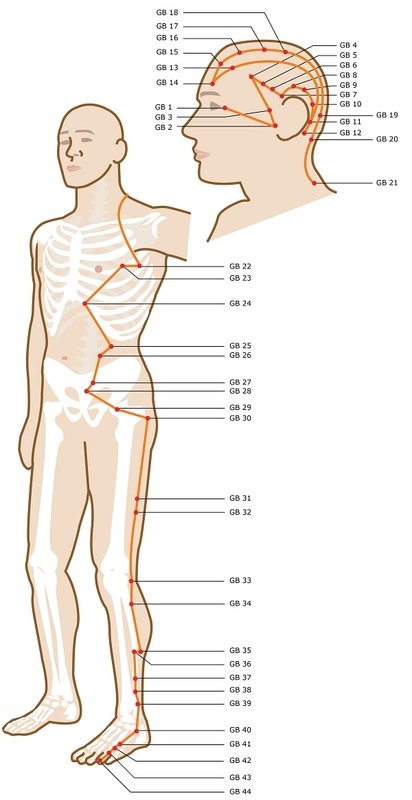 On this page I'll show you every acupuncture point from our acupuncture meridian guide that's located on the back of the human body. You'll see the exact location of these points and the meridian that they belong to. 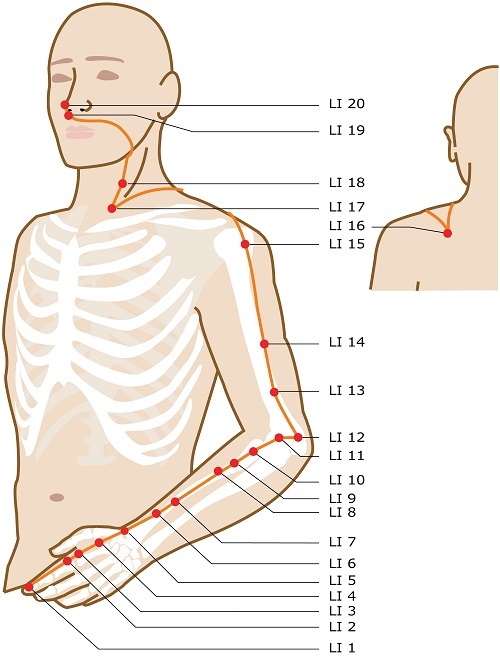 ​Four out of twelve of the primary meridians contain at least one acupuncture point somewhere on the back. One primary meridian also contains some points on the back of the neck and head, which I've included for thoroughness. The governing vessel, which is one of the two major energy vessels, also contains energy points on the back. And ​two out of the six minor extraordinary energy vessels also contain some back points. The small intestine meridian pictured above contains several points that form a complex zigzag pathway along the back of the shoulder and upper back. The large intestine meridian only features one point, seen here, on the back of the shoulder. But I had to mention it here in order to be thorough and cover every point! The triple energizer meridian shown here only features a couple points on the back of the neck, shoulder, and arm area. These points aren't really on the back of the body per se. But the gallbladder meridian does have a few points on the back of the neck and head that you might care about. The bladder meridian pictured here is the big one when it comes to acupuncture points located on your back. It has more back points than the rest of the meridians combined! You can see that the energy pathway is also very complex, in fact the most complex primary energy pathway out of any of the meridians in the body. The yang linking vessel, one of the six minor extraordinary energy vessels, has a few points located on the back of the body and the back of the head. The yang motility vessel, another one of the six minor extraordinary vessels, has one point on the back of the head and three points on the shoulder and upper back area. And that's all folks. That's all of the acupuncture points from the primary and secondary energy vessels that are located on the back of the human body.